Lini is an empathetic gnome with a talent for calming angry animals. 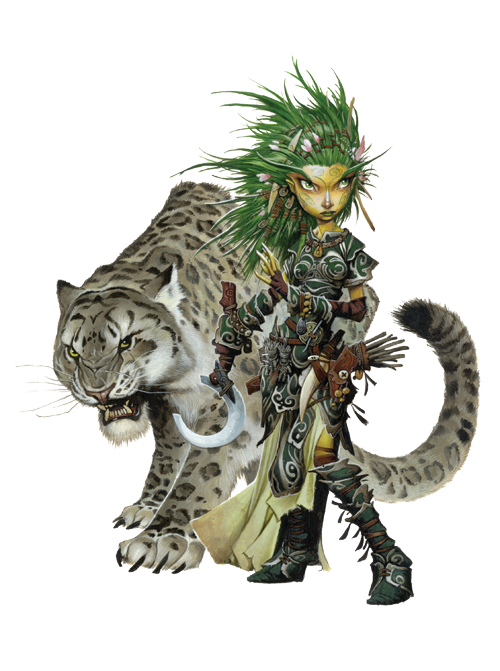 Lini's snow leopard companion, Droogami, is a loyal friend who supports and defends her at all times. Would you like to learn more about Lini, the Iconic Druid? Read her Meet the Iconics entry over at the Paizo blog, or any of the other blog posts that mention her!